This was my first time working with Custom Made & I was pleasantly surprised! Jordan was wonderful to work with & was very responsive. I would definitely work with him again! 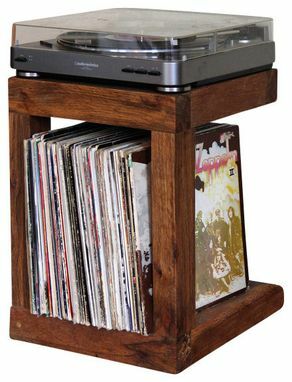 This beautiful record stand can be custom made to meet the unique dimensions of your player or space. 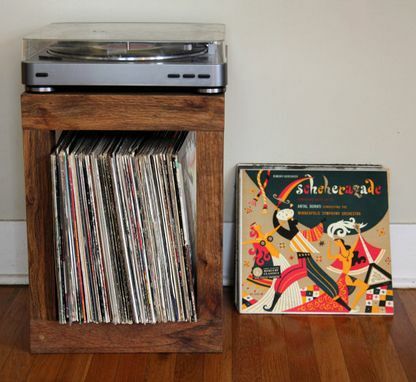 The example you see was crafted from fishtail oak, an Asiatic hardwood named such for its iridescent qualities. This stunning wood blends shades of chocolate, honey, rose, cinnamon, burgundy and copper, in a breathtaking pattern not unlike the scales of a fish. 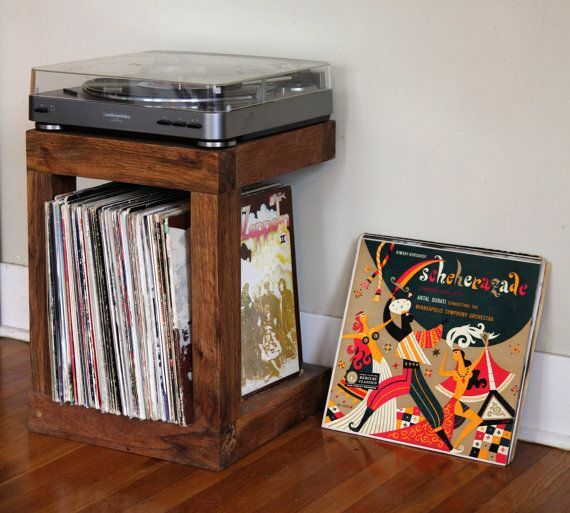 But at TinyShed, I'm happy to use whatever material you like for your record player stand, media center, or entertainment center to ensure it matches your style. 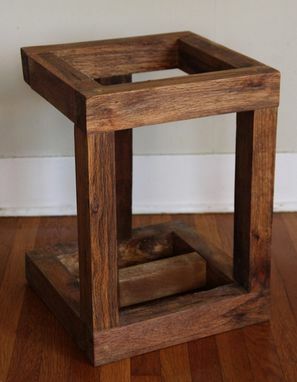 Made by hand in Portland, Oregon, and shipped free of charge to anywhere in the US--this piece is sure to be a conversation point within your home. Every maker has a story. Be a part of Tiny Shed's story by placing an order, leaving a review, and seeing your review appear here.